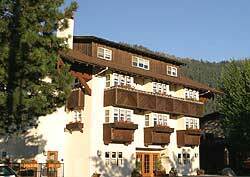 The Blackbird Lodge in the heart of the Bavarian Village of Leavenworth, Washington brings quaint boutique comfort to vacationing. Blackbird Lodge provides it's guests hospitable service with spectacular mountain and river views. Located one block from many restaurants, art galleries, and unique gift shops. Treat yourself to Blackbird's thoughtful service and unobstructed views of the beautiful Wenatchee river, Blackbird island, and Majestic mountains. Blackbird Lodge is located in the village of Leavenworth, on the corner of 8th Street and Commercial. From Highway 2 turn into the Village,at 9th Street, travel 2 blocks then turn right onto Commercial St. Take Commercial St. to 8th Street. Copyright © BlackbirdLodge.com. All Rights Reserved.